Experience New Zealand from the ground with this ultimate hiking explorer itinerary. Beginning in Auckland, you will head to Tongariro National Park to walk the famous Tongariro Alpine Crossing, arguably one of the greatest day walks in the world. 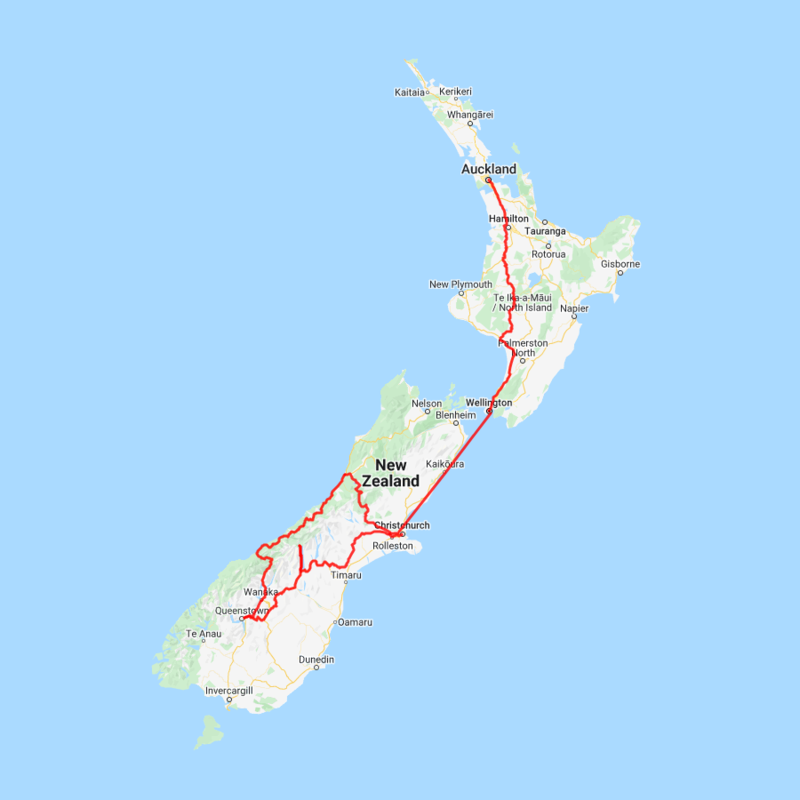 Journey south via scenic trains, ferries and driving routes to Mt Cook. National Park and choose from a range of stunning walks through the mountains. Take a guided tour of the spectacular Routeburn Track, and then head to Wanaka to explore the series of wonderful tracks available in Mt. Aspiring National Park. The perfect vacation for the hiking enthusiast! You can expect to spend around NZ$161 in fuel cost on this itinerary based on an intermediate sized car.